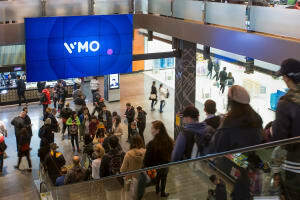 VMO has launched its 'VMO Programmatic' product which allows advertisers to target specific audiences in real time, in what it says is a global first. It uses data from its bespoke Digital Outdoor Audiences in Real Time (DART) measurement system to deliver personalised content that targets specific audiences in an out-of-home (OOH) environment. DART can detect 18 different demographic profiles to allow for real time ad serving. Rather than having campaigns which are timed to appear on a rotational basis, this initiative uses data to drop in a campaign targeted to relevant demographic audience. Recently, VMO launched gym screens that can monitor audience engagement as part of the company's Active solution as well as mood detection within its On-the-Go petrol pump screens. Last week VMO Work in New Zealand launched the first programmatic outdoor campaign with global fast-food group Subway. The OOH industry has been adapting to the way data enables more targeted advertising by experimenting with dynamic creative whereby content is created with specific audiences in mind, and rolled out either by the geographical locations of screens or the time of day. VMO managing director Anthony Deeble says the tool “enables us to ensure we are delivering the clients creative dynamically at the right time to the right audience – a giant leap in effectively targeting audiences. The benefit to the advertiser is simple; greater efficiencies and less wastage”. “Live data is changing the way content is generated and consumed, VMO programmatic is changing the way OOH is able to engage,” added Deeble. However, the ability to serve content programmatically has often been considered a far-off development within the industry. The Outdoor Media Association has also been building an industry tool and has launched a a tender for the world’s first industry-wide automated transaction platform to create a one-stop shop for buying and selling outdoor across Australia. 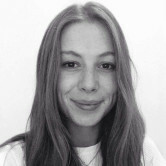 VMO has created a programmatic sales team headed by director of digital and innovation Mathew Bushby, supported by general sales manager of strategic partnerships Lorna Briggs. VMO worked with FMCG and telco brands while developing the product and have already used it within the VMO Shop retail solution in a beta testing phase.